DEMONETTE DAY; A ‘GUN’ KNOCK; AND WHAT ABOUT ‘PUC’! What a weekend of highlights to report! Our women’s teams brought up three wins, the first occasion since the opening round of the season. 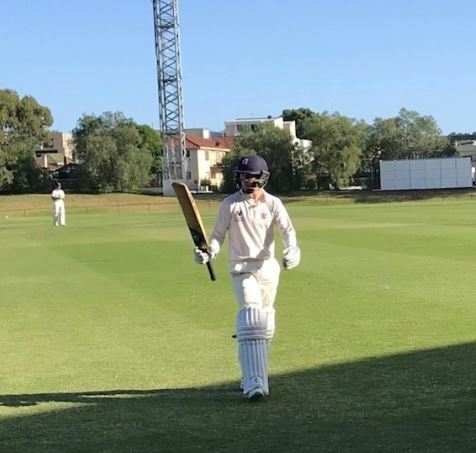 The men’s Premier round against Prahran, although only half way through, has registered several outstanding performances, none more so that Ollie Gunning’s 178 in the 2nd XI against Prahran at Toorak Park. His second 2nd XI ton of the season was punctuated with 19 fours and two sixes, and eclipsed his previous highest score of 161 made in the 3rds last year. I’d hoped to be writing up Jackson Koop’s maiden century for the Demons from the same game however he had the misfortune to be run out just two short. His 98 included 12 fours and a six, and his 3rd wicket partnership with Ollie of 224 set up the 2nds imposing stumps score of 6/362. And what about Will Pucovski’s 188 for Victoria v Queensland over the weekend! There has been plenty written and said about Will’s performance in all the various media circles. I won’t repeat it all but it shouldn’t go without mention in this ‘MCC cricket family’ forum; simply outstanding and we hope to read more about Will in Victorian colours for a time to come. Our women’s Premier teams appear to relish the return to the one-day format, the 1sts facing up to their T20 conqueror, EMP, at home. Amy Yates (24) assisted with a steady start but it wasn’t until our English guest, Amara Carr (60 off 77 balls), came in at 4/66 that the run rate started to lift. Her main ally was Elly Donald (31 off 29) and their 65-run sixth wicket partnership helped propel the team to 9/202 after the 50 overs; a solid total but one where they needed to bowl and field well to defend. And that they did. 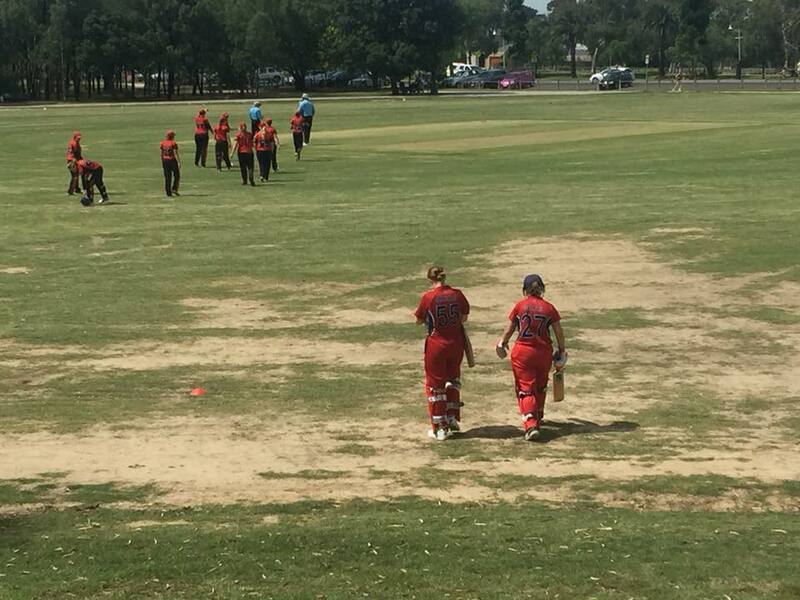 Opening bowler Anna O’Donnell (2/17 off 10) led the way, Teagan Orwin (six overs for 12) kept things tight, then Brea Sutton combined an important run out with two wickets of her own in a 10 over spell that cost just 26 and included four maidens; the Demons home by 37 runs. The Seconds, or the Reserves as the one-day grade is named, did it a bit tougher at EMP’s Aberfeldie Park (pictured). It was a low scoring affair (I’m guessing conditions didn’t help) where ball dominated bat although both sides struggled to keep ‘extras’ in check. Batting first, Jessica Grant (13) equalled the top score for either team, where we made 105 when bowled out in the 43rd over (max 45). The challenge was there for the bowlers and they were up for it, knocking over EMP for 96. Ella Hayward shone with the ball (3/19 off 9), Emma Medland (2/21) was the other multiple wicket taker, with Breannan Harris (1/17 off 9) and Dayna Smith (1/9 off 5) playing important roles. The Thirds, or Shield side as they are known, had a convincing eight wicket win. Skipper Chelsea Wemyss (3/25 off 10) took her best ever figures for Melbourne, with neat bowling from the other six bowlers holding 4th placed Mt Martha to 9/122 (40 overs). Lauren Innes (76 off 92 balls, 12 fours) continued her run-making form and was dismissed just six short of victory, with Rebecca Heenan (20 n.o.) seeing the team safely home in the 29th. In other men’s matches, the 1sts had a slightly frustrating day with Prahran finishing on 9/317. A 92-run opening stand was broken by Meyrick Buchanan (3/62) who followed with another two balls later. As occurred most of the day, when it looked like we were getting on top, a stubborn partnership followed. Wilson McGillivray (3/65) took back-to-back wickets in the middle of the day but we couldn’t break their back. When it comes down to it, the ball is still in our court next week to take the last wicket and simply chase down whatever is required to keep our finals hopes open. The 3rds faced ‘difficult’ conditions with uneven new ball bounce at HG Smith although it was arguable whether it was an ‘all out 69’ pitch. With Prahran 5/20 then 6/42 in response, perhaps it was. Unfortunately we were passed seven down but restricted the Prahran’s lead to 35 and are 1/28 second time around with outright points to play for. The 4th XI took their time getting a breakthrough but when Hugh Hyslop took three wickets in quick succession, Prahran went from being 0/66 at one stage to 6/101. Three wickets to Alistair McCooke either side of tea and a second to Josh Ash had the home side 9/124 before an annoying 29-run last wicket partnership was eventually broken by Josh Wooding. We are an unlucky 1/28 in reply. The two Club XI teams had poor days with the bat. The Division 2 side, not so surprisingly, finding things tough playing on the same pitch the 3rds played on at HG Smith the day before, all out 68 that was negotiated three down by Old Haileybury. The Division 3 lads did no better, all out 55 that Uni made in 11 overs. Next Sunday is the final round for Club XI with both MCC teams out of the finals race, the Div 2 boys taking on Melbourne High School OB at HG Smith, with the Div 3 team’s season now over having played their Rd.14 clash on Cup weekend. Next week the Premier women play Dandenong (2nds at home) and the Shield team play Ringwood away. Saturday will be day two of the penultimate men’s round v Prahran.